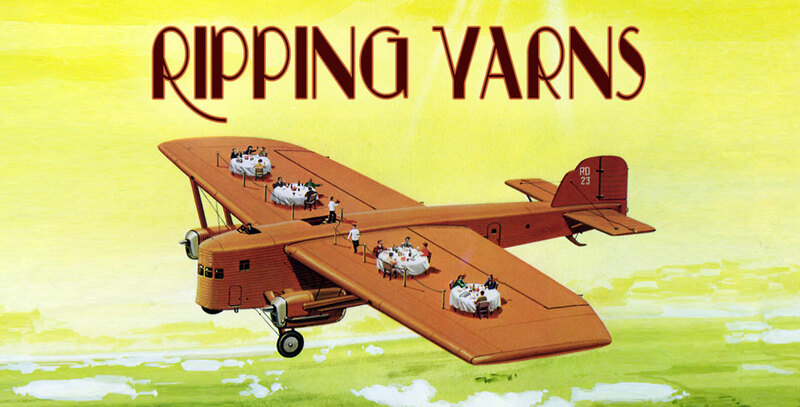 "Spectacular! 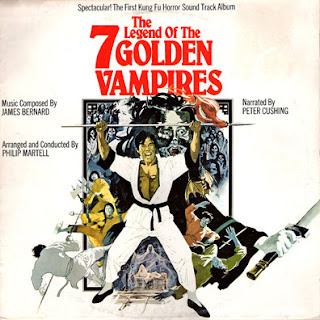 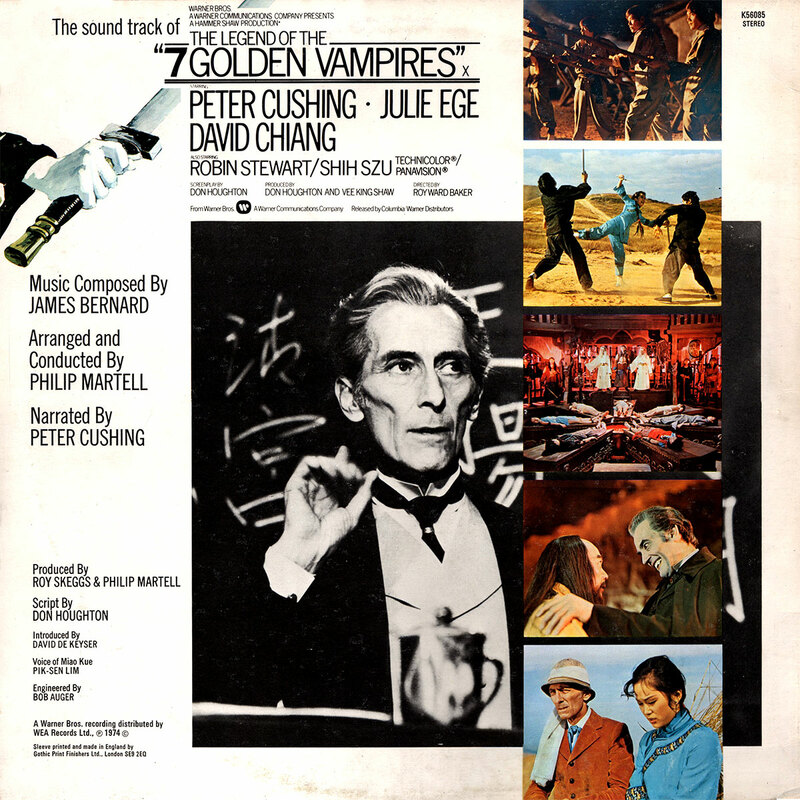 The First Kung Fu Horror Soundtrack Album"
The Legend Of The 7 Golden Vampires (1974) We join the late great Peter Cushing as Prof. Lawrence Van helsing battling diabolical hopping vampires of the Orient. Help on the narration duties comes from David De Keyser and Pik-Sen Lim. The tracks flow together so I ripped this as two whole sides for easier listening.